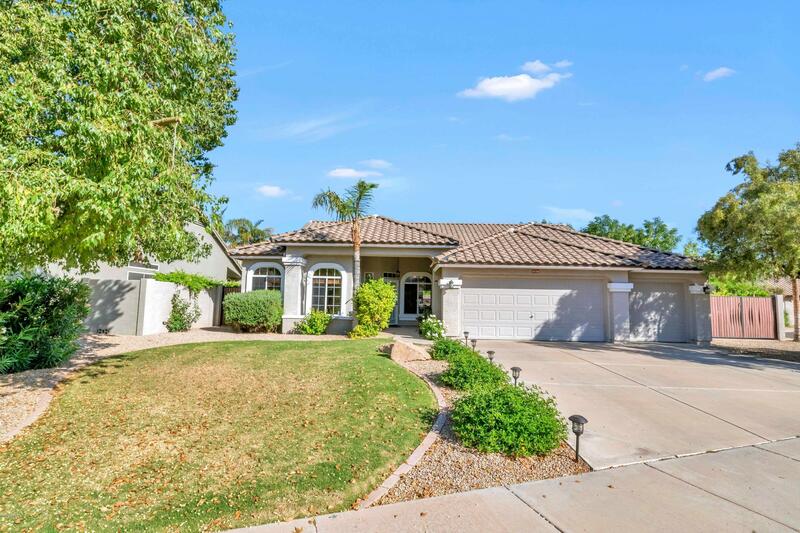 All VAL VISTA LAKES homes currently listed for sale in Gilbert as of 04/22/2019 are shown below. You can change the search criteria at any time by pressing the 'Change Search' button below. "Welcome to your DREAM HOME with a basement! Gorgeous 5 bed / 4 bath, 3 car extended depth garage and side double gate!! This lakeside home in the HIGHLY DESIRABLE Val Vista Lakes, GATED ''Lakeside'' community. New exterior and interior paint, carpet, most of the interior hardware and light fixtures and many other various trim work!!! Home features a wide open floor plan, easy clean-up tile flooring and beautiful finishes throughout. Outstanding chef's kitchen fully equipped with stainless steel"
"Welcome to your new home in the gated community of Regatta at Val Vista Lakes. This 5 bedroom 3 bath home has all the interior and exterior space you'll need. Tile floors throughout for easy care are complemented by the wood shutters on all the upgraded windows. These features combined with granite counter tops, upgraded cabinets and stainless steel appliances round out this home. Diving pool and spacious lawn in the back yard for swim and play. 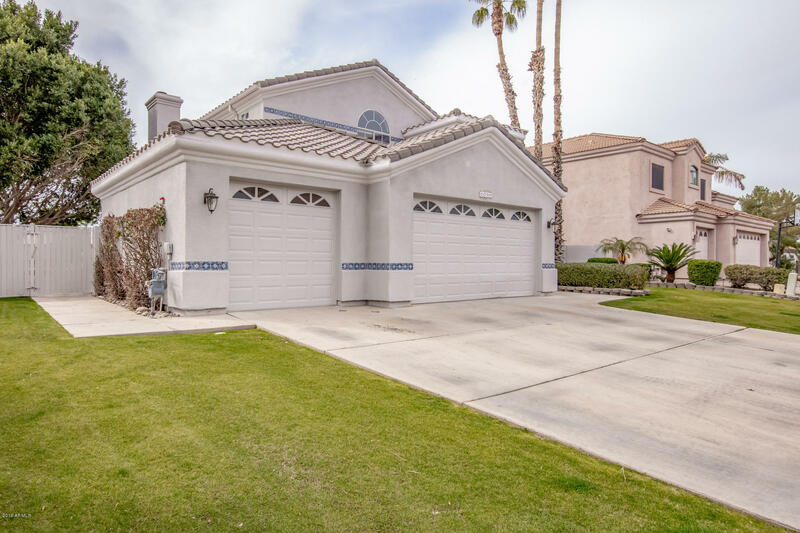 If all this isn't enough just wait until you"
"Meticulously maintained SINGLE LEVEL home on a private street that ends in a cul de sac in the resort community of Val Vista Lakes. LARGE LOT! Front Entry w/patio. 3 bdrms PLUS an OFFICE/DEN. Split floorplan. Formal living and dining space. Spacious kitchen & family room for that open flowing living space. Kitchen features SS appliances, kitchen island with seating,pull outs in cabinets & 2 pantry closets. 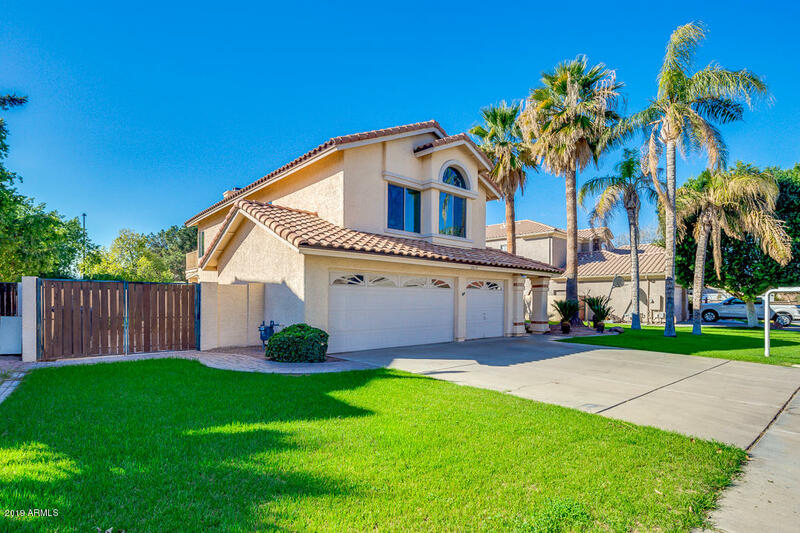 Tile & wood laminate flooring everywhere but the master bdrm.Backyard w/resort like land"
"Picture yourself living the lifestyle you're dreaming about in this hard to find, single story Val Vista Lakes home. 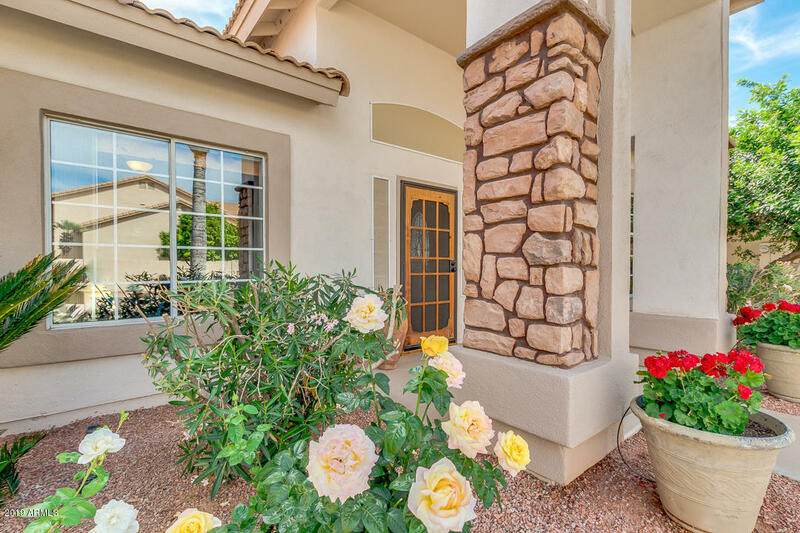 As you walk through the front door, the sense of home envelopes you with inviting light and bright spaces, vaulted ceilings, and expansive tile floors. Imagine yourself curling up in your favorite chair in the front room to read a book or sitting in front of the fireplace with your favorite someone. Whip up a meal to remember in the large open kitchen while your guests join you a"